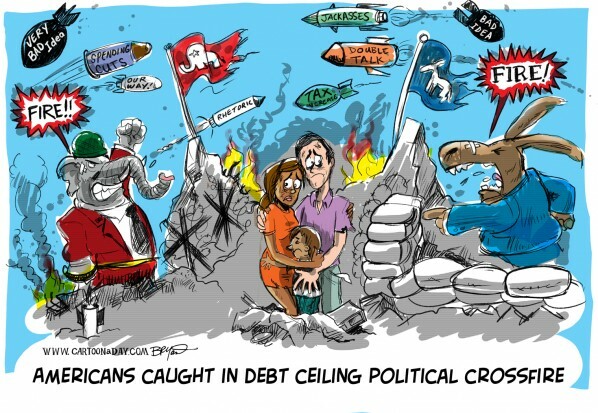 US hits debt ceiling of 16.394 trillion. Treasury start "Extraordinary Measure"
US has hit its official debt limit of 16.394 trillion but not a single main stream media is talking about it. It is now 16,397,912,865,485 and counting. US treasury now has to start "Extraordinary Measure" to save US from default. US can survive using extraordinary till February but the limit is hit. It like crossing credit limit on your credit card. Maximizing credit card has negative effect on credit score. So they neither resolved fiscal cliff nor raised debt ceiling. Since congress is in recess till December 27th, 2 pm which leaves 28th, and 31st as working day for any resolution. Its impossible to pass anything by then.